Zoo is an upcoming zombie horror feature. From director Antonio Tublen, couple John (Ed Speleers) and Karen (Zoe Tapper) take refuge in their apartment. But, there is no way to run from their neighbours. Now, this foursome must work together or fight it out as their city bursts into flames. 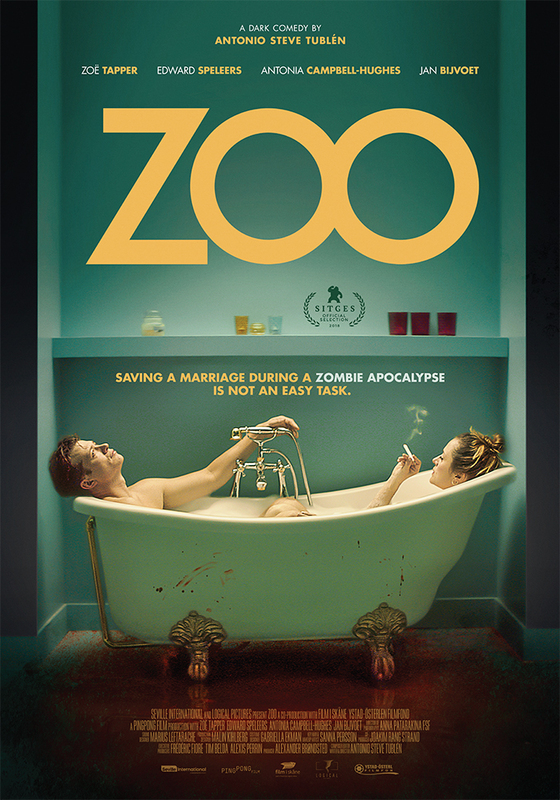 The first trailer for Zoo is a good one. And, this is a 1091 Media release, set to show in late May 28th. 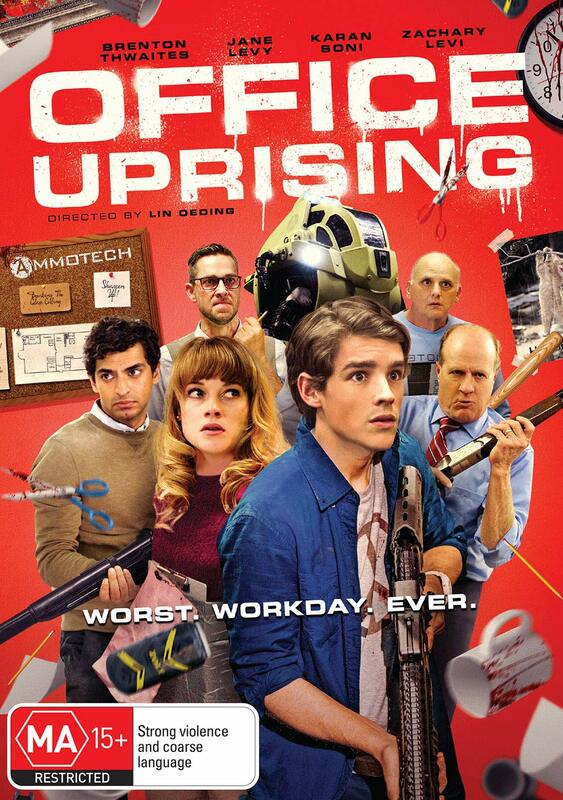 Zombie thriller fans can check out the film's first, zombified trailer here. Actor Bill Murray Stars in The Dead Don't Die (First Trailer)! The Dead Don't Die is another zombie feature, from director Jim Jarmusch. The film takes place in a sleepy, small town. Here, the local sheriffs are overwhelmed by the walking dead. As well The Dead Don't Die features a huge cast, including: Bill Murray, Iggy Pop, Selena Gomez, Adam Driver, Tilda Swinton and many more. Boasting the largest zombie cast ever, The Dead Don't Die will be in theatres this Summer and fans of the undead can find out more about this film inside this article. The Golem is the latest film from the Paz brothers (Doron, Yoav). 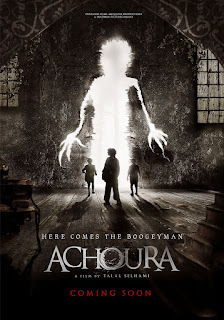 Together, they have created an indie horror film, based on Jewish myth. In Judaism, if the 72 letters of God's name can be discovered, a creature can rise from the dirt. But, this monster cannot discern between friend and enemy. Almost everyones' life is in danger, within this grisly feature. The climax is expecially violent as this child killer relentlessly goes about his macabre work. Out now, fans of indie horror films can check out this review, before buying The Golem at Epic Pictures. Pregnancy Horror Feature Snatchers to Debut at SXSW (Film Festival Details)! Snatchers is a horror comedy from directors Stephen Cedars and Benji Kleiman. The film involves an alien pregnancy, which leads to exponential growth. And, Hayley (Mary Nepi) is unprepared for the birth. To screen at this year's SXSW Film Festival, in Austin, this feature promises a fun ride, in a strange universe. Snatchers will show mid-March at this festival. As well, a television series is being developed from the feature and the original short. More details, including the latest trailer, are hosted here. There is Only One Way Out of the Frozen Wasteland in Arctic (A Film Review). Arctic is the first feature film from director Joe Penna. The film as the title suggests, takes place in the frozen north. Here, Overgard struggles to stay alive, after his plane crashes. 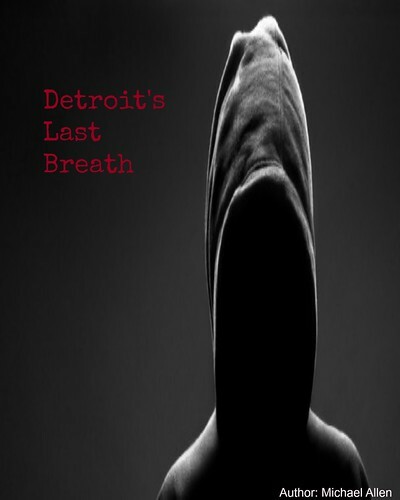 A search party goes in search of him, only to encounter an equally terrifying time. Now, it is a struggle to get out of this frozen wasteland. Arctic is currently on the film festival circuit. And, this feature should not be missed by those who enjoy survivalist type films, or thrillers in general. Check your local listings for this film, with Arctic an exciting debut from Penna. Creature Feature Discarnate Looks to Consume the Living (Release Details)! Discarnate is the first film from director Mario Sorrenti. This indie horror thriller involves a creature, which has no form or body. Slated for a March 6th release on DVD, the first trailer for Discarnate has been released recently, along with several photos. 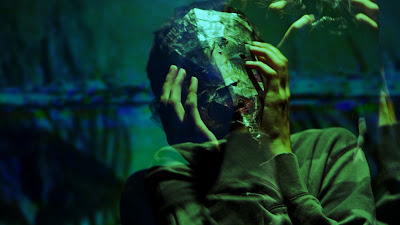 As well, Sorrenti is a long-time photographer and film fans can some of his visual style in the film's first trailer. Starring Thomas Kretschmann and Jost Stewart, Discarnate looks like a decent chiller, with more details inside this article. Film distributor and production house Samuel Goldwyn Films has just announced a release date for the horror thriller Play or Die. Taking a note from the escape room phenomenon, Play or Die will show on digital platforms, this Summer. Play or Die is a film from director Jacques Kluger and this title was shot in Belgium. In the film, there are two rules. When either one is broken, a character will perish in this isolated locale. As well Play or Die stars: Charley Palmer (Dunkirk), Roxane Mesquida ("Now Apocalypse"), Marie Zabukovec (Interrail), Thomas Mustin and Igor Van Dessel. An early look ahead at the film's release is available here. Several stills have been released for Play or Die. They show a masked killer and a room set on fire. This is one escape room which requires more than wits to survive. As well, Samuel Goldwyn will release an updated poster, for the film, closer to the July release date. Play or Die is based on Franck Thilliez' best selling book "Puzzle." Now turned into a film, this release will be available on July 2nd. On this date, Play or Die will be available on most Digital Platforms, with more release specifics coming this way soon; a trailer will be available shortly, too. For now, horror fans can take a quick look at the film, with these early stills. Release Date: July 2nd, 2019 (Digital). Writers: Amiel Bartana, Jacques Kluger. Cast: Charley Palmer Rothwell, Roxane Mesquida, Laetitia Chambon. Tagline: "You May Not Have Fur or Feathers...But You are Still Part of the Food Chain!" Charlie Steeds and his production company Dark Temple Motion Pictures have been busy. Recently, they released a new, concept poster for their cannibal horror film The Barge People. They are also busy completing their fourth film An English Haunting. On The Barge People, Raven Banner has recently started to represent this title, for a possible release in North America; though, a specific US or Canadian release date has not been announced. Horror fans can find an update on both films here. Back in January of 2018, the first trailer for The Barge People was released. Since then, the film has had its World Premiere, in the United Kingdom, this past September. The production house promises a US release in 2019, with UK release details still being hammered out. The new poster for The Barge People shows more of the film's mutants. Trapped in a series of English canals, two sisters and their boyfriends have to fend off strange, mutant like creatures. Some of those characters can be seen in the graphic. As well, the settings show a dark riverside - where something menacing looms. Film fans can find more specific release details for this one shortly. Dark Temple's next film, An English Haunting, is a more traditional ghost story. Completed in late 2018, this latest film was shot in an old mansion, where something supernatural lives. This horror film has been set in the '60s. And, An English Haunting is expected to release in late 2019, or early 2020. All of the latest details on both films can be found a the Dark Temple Motion Pictures' website below. Release Date The Barge People: 2019 (US, UK) and An English Haunting 2019 or 2020. *the following details are for The Barge People only. Cast: Kate Davies-Speak, Mark McKirdy, Makenna Guyler, Natalie Martins, Matt Swales, Kane Surry, Emma Spurgin Hussey, Tim Cartwright, David Lenik, Carl Andersson, Harrison Nash and Sam Lane. Global Digital Releasing is set to show Tom and Mick Sands' Rupert, Rupert & Rupert. This film, set to release this April, involves a struggling actor and his many personalities. Starring Sandy Batchelor as Rupert, this film is one party comedy and one part drama. 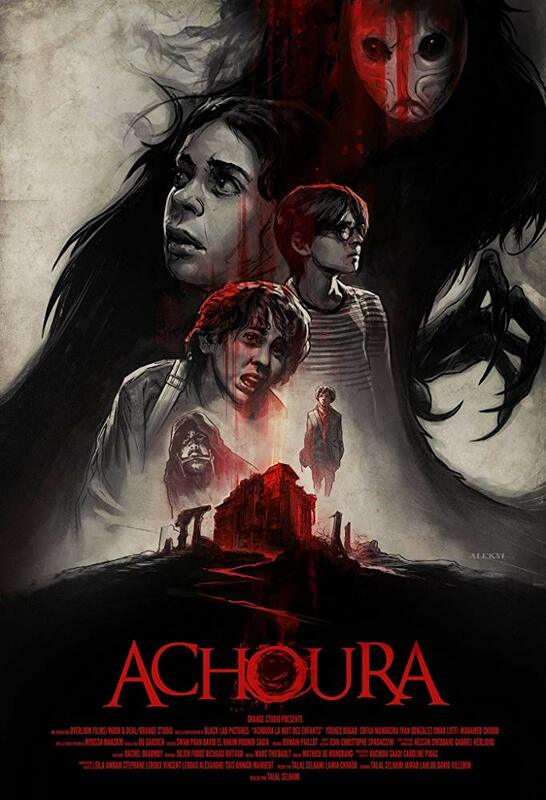 A trailer and poster have just been released for the film. And, Rupert, Rupert & Rupert also stars: Daisy Keeping (Neverlake) and Adam Astill. The most recent trailer is below. The central plot involves Rupert and his three identities. He lands a prominent role in a West End play. But, his many personalities promise to up-end his career. Seeking the help of a makeup artist and therapist, Rupert is on the mend, until he takes center stage. Global Digital Releasing has set April 26th as the film's release date. On this date, Rupert, Rupert & Rupert will be available on: Amazon, Google Play and iTunes. Then, the film will expand to other Digital platforms, including: VUDU, Tubi TV and iFlix. All of the most recent details, on Rupert, Rupert & Rupert, are available here. Release Date: April 26th, 2019 (Digital: Amazon, Google Play & iTunes). Cast: Sandy Batchelor, Daisy Keeping, Adam Astill. Tagline: "A Date to Die For." Do Not Reply is an upcoming horror film, from Daniel and Walter Woltosz; this is their film debut. And, Do Not Reply is a horror film that deals with an introverted high-schooler, who is targeted through a social media app'. Now, Chelsea will have to escape, before her murder is broadcast across the internet. This title is also being produced by Nicholas Paul Ybarra. As well, Do Not Reply centrally stars: Amanda Arcuri ("Degrassi: Next Class"), Kerri Medders (Seal Team) and Jackson Rathbone. The film's first movie poster and early still are debuting here. Do Not Reply is being repped by sales agent VMI Worldwide. This company has already brought the film to the European Film Market. Near completion, Do Not Reply is expected to show in other markets this Spring and Summer, with an expected release date forecast for later in 2019. Fans of horror can take an early look at this Iron Compass Entertainment production here and more details are sure to follow. Directors/writers: Daniel Woltosz, Walter Woltosz. Cast: Elise Luthman, Ashlee Füss, Ivon Millan, Courtney Henggeler, Savannah Kennick, Thom Gossom Jr., Kaitlyn Black, Curran Walters, Nikki Leigh, Christian Hutcherson, Eddie Diaz, Kue Lawrence, John Allsop, Brandon Modelo, Matthew Raymond, Erin Siu, Alexandra Fatovich, and Rodney J. Hobbs. Bliss is the latest film from director and writer Joe Begos (Bad Moon Rising, Almost Human). Known to this film fan for his use of practical effects, Begos' latest picture involves a painter - who lacks inspiration. Dezzy (Dora Madison) searches for her muse, in back alley parties and rock-and-roll, dive bars. But, after losing consciousness, Dezzy turns to bloodshed and finds a new source of paint - blood! Bliss is being produced by Graham Skipper (Sequence Break). 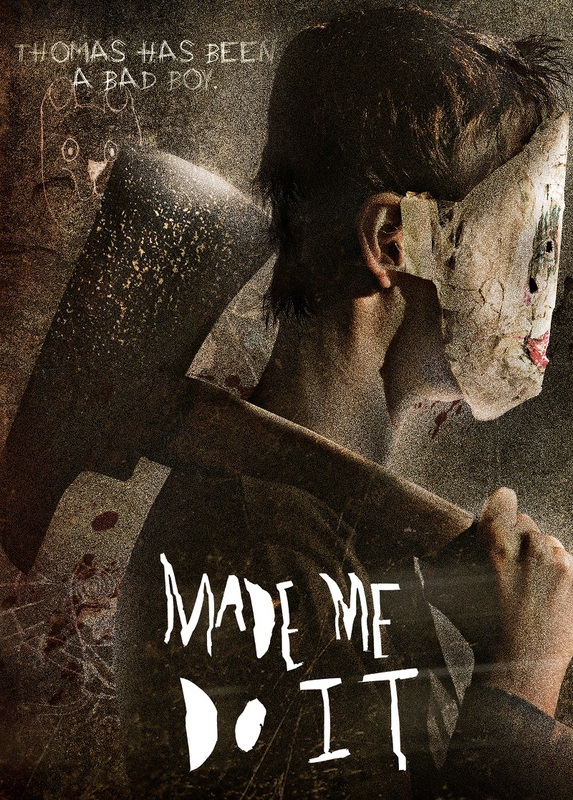 As well, this title stars: Rhys Wakefield (The Purge), Jeremy Gardner (The Batter) and Tru Collins. Now, a teaser trailer is available for the film, along with its premiere details. The teaser trailer shows Dezzy stalking several events. With blood on her face, she appears out of it. Turning to more and more drugs, Dezzy loses control and she will have one hell of a hangover, once she recovers. Bliss will have its World Premiere at the Tribeca Film Festvial. On April 27th, the film will show in New York. There will be at least three showings, leading into May. The film has a runtime of eighty minutes. And, Bliss should not be missed by those on the eastcoast - looking for a thrilling film experience. World Premiere: April 27th, 2019 (New York, Tribeca Film Festival). Cast: Dora Madison, Tru Collins, Rhys Wakefield and Jeremy Gardner. My Lover, My Lazy Boy is an upcoming horror comedy. From the twisted mind of director Bernie Rao (The Badlands), this film envisions a serial-killing armchair. A movie clip was released for the film a year ago. Currently, director Rao is completing production on the film, which is slated to show in film markets later this year. This is a New Zealand production. And, My Lover, My Lazy Boy stars: Jed Brophy (The Hobbit: The Battle of the Five Armies), Harley Neville (I Survived a Zombie Holocaust), Grant Kereama, Piimio Mei and many others. An unofficial trailer, for the film, is available here - along with a few other details. The official plot mentions a Dybbuk-possessed reclining chair. This chair becomes infatuated with its new owner (no seriously?!). Now, this recliner will do whatever it takes, including murder, to have her. Not even a Jewish Rabbi, nor a Voodoo sorceress can help. 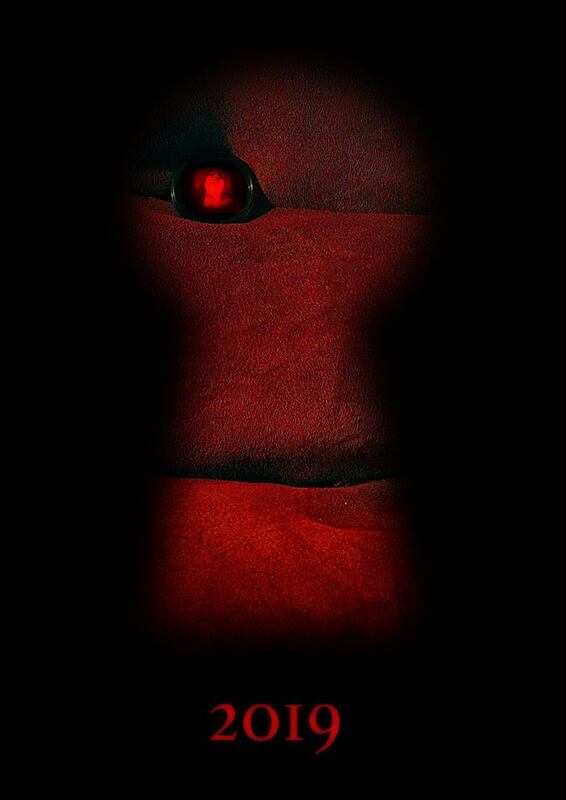 As well, a concept poster was released for My Lover, My Lazy Boy this past March. The graphic shows the seat, in reds. Someone is reflected in its one eye/button. And, this is one killer that should not be tested. My Lover, My Lazy Boy is expected to show in a few festival markets, in 2019. This title is already slated to show at this year's American Film Market, in Santa Monica. My Lover, My Lazy Boy is being repped by High Octane Pictures in the United States and Devilworks in Europe. Fans of comedy or of strange horror can expect to see lots more of this film as it nears completion. Release Date: 2019 (Film Markets). Cast: Jed Brophy, Grant Kereama, Harley Neville, Piimio Mei, Natalie Morris, Jim Baltaxe, Sarah Munn and Jamie McCaskil. Horror film distributor Terror Films continues to bring their titles to a wide range of Digital platforms. Their latest partnership is with POV Horror. On this streaming service, Terror Films will bring at least seven of their titles to POV Horror. The first title to show on this streaming service is Phil Guidry and Simon Herbert's pseudo-doc' Savageland, which originally began its release in 2017; a review on 28DLA is available below. As well, Terror Films will bring the well-liked Hell House LLC, the stalk-and-chase thriller The Documentary, Ishak Issa's The Claire Wizard Thesis, Kevin Mendibourne's paranormal thriller The Follower, the upcoming release Documenting the Witch Path and many more. The release dates, for all of these films, is still being negotiated. But, a general overview for the first seven films is hosted here. 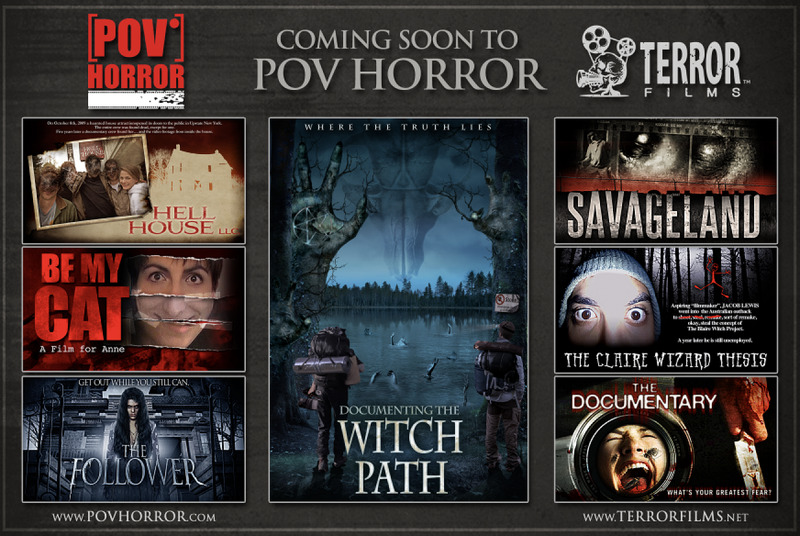 POV Horror is a film distribution and production house, which focuses on the horror genre. Their recent platform offers the latest in found footage styled horror. And, their titles include films from around the world. This streaming service can be found on several Digital platforms, including: Roku, Amazon Fire TV, Apple TV, Chromecast and others. The first title to show on POV Horror will be the aforementioned Savageland. On April 28th, Savageland will start showing, with more showing dates announced through the Summer. A general release schedule is offered below, with more details to come soon. April 28th, 2019 - Savageland. TBA - Hell House LLC. TBA - The Claire Wizard Thesis. TBA - Be My Cat: A Film for Anne. TBA - Documenting the Witch Patch. Tagline: "It's Time to Face the Music." 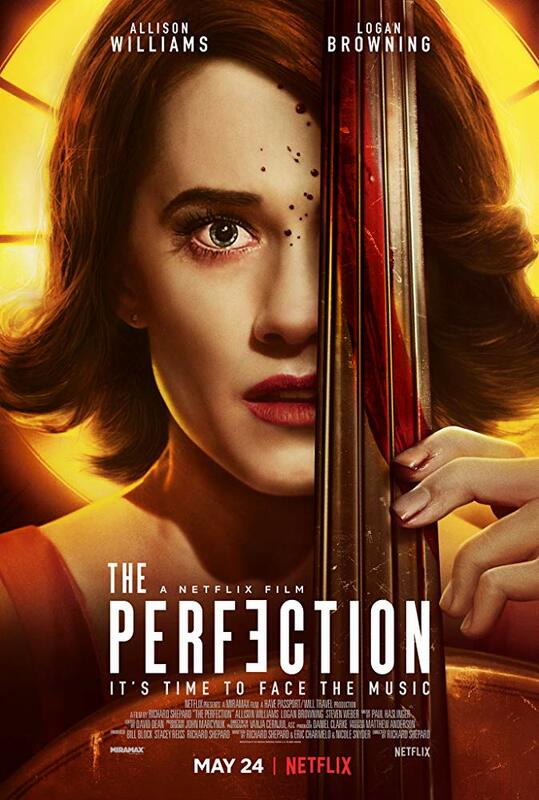 The Perfection is the latest psychological thriller to move to Netflix. From director Richard Shepherd (The Matador), The Perfection brings a competitive cello player to one of the best mentors in the business and his star pupil. The result is a musical and murderous clash as Charlotte (Allison Williams) hopes to axe the competition. This title also stars: Logan Browning ("Powers"), Steven Weber ("Channel Zero"), Alaina Huffman, Winnie Hung and Glynis Davies. Just today, a full trailer was release for the film and the clip can be found below. The trailer shows Charlotte playing the cello with Elizabeth (Browning). Events take a strange turn into the psychedelic as Charlotte pretends to help her musical counterpart. However, Charlotte's help might be best avoided. Netflix has already set the film's release date. On May 24th, The Perfection will be available on this Digital, subscription service. Already released at last year's Fantastic Fest, to applause, The Perfection offers a twist or two - in the competitive music world. Fans of psychological thrillers are encouraged to take an early look below, with The Perfection promising a chilling movie-watching experience. Release Date: May 24th, 2019 (Netflix). Writers: Eric C. Charmelo, Richard Shepard. Cast: Allison Williams, Alaina Huffman, Steven Weber, Logan Browning, Winnie Hung and Glynis Davies.